Last week I read an article about making microwave popcorn at home. I had to laugh because the instructions were so ridiculously simple. It required 3 things - popcorn kernels, a paper bag, and a microwave. It was a revelation to me. I assumed the bag was kind of magical, specifically designed to pop corn in a microwave. Using anything else would surely result in a major catastrophe. The bag could explode. Something terrible would happen. I had no idea that a plain old paper bag is all you need to make perfectly popped corn. Homemade microwave popcorn not only saves you a significant amount of money, it also eliminates the excess salt, oil, and questionable additives found in the commercial bags. You can add what you like, or nothing at all. A light sprinkle of truffle oil, freshly grated Parmesan cheese, and a little salt is my current favorite topping. Create your own favorites, or try the ones featured in the recipe below. 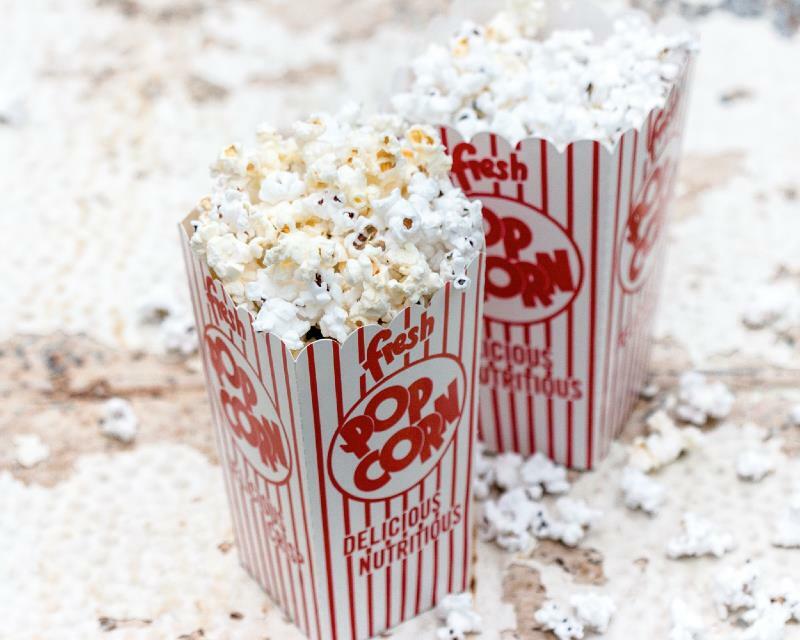 Movie night just got a little tastier! Popping corn is available in assorted colors. 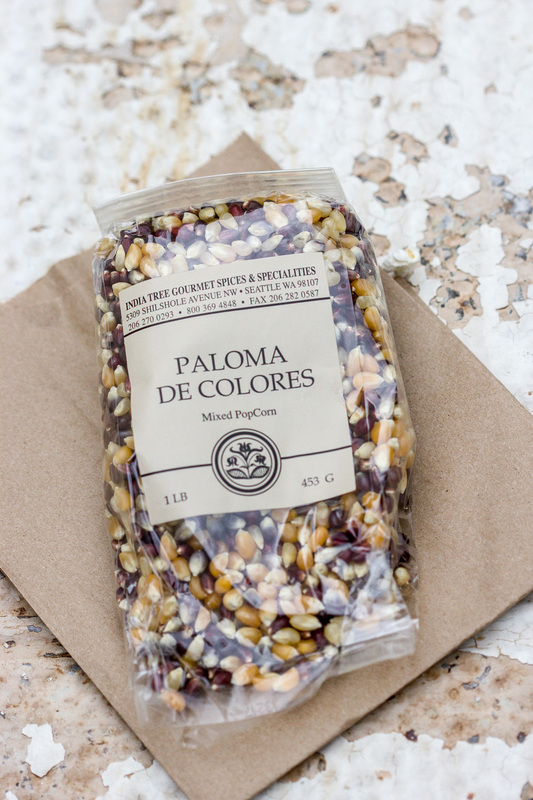 It's fun to try different types India Tree offers a nice mix of red, white and yellow kernels in their Paloma de Colores blend. You need 1/4 cup popping corn and a brown paper bag. Place the kernels in the bag. Fold the bag over 3 times and place right side up in the microwave oven. Microwave on high for about 2 minutes. Transfer popcorn to a bowl and toss with flavorings of your choice while still warm. Makes about 6 cups popcorn. Toss 10 cups popcorn with melted butter to taste, then mix in 1 teaspoon chili powder and 2 teaspoons fresh lime zest. Keep 10 cups popcorn warm in a 200F oven. Melt 2-4 T. butter, then stir in 1-2T. dried Italian herbs, 1/2 t. garlic powder, 1/4 cup Parmesan cheese, and salt and pepper to taste. Toss with still warm popcorn. 1/2 cup finely grated Parmesan cheese, 1/2 teaspoon chili powder, 1/2 teaspoon garlic salt. Mix together, then sprinkle onto 5 cups of popcorn.